The Bachman Center is a local gem, set on the picturesque grounds of Homestead Village. 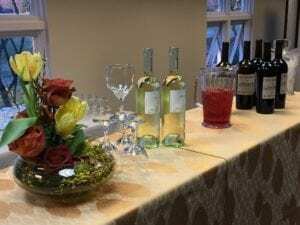 Just moments from downtown Lancaster and with easy access to Routes 30 and 283, this is a perfect venue for you and your guests. We are more than just an event venue. 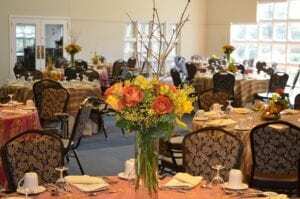 We offer a full range of service in a warm welcoming environment, including: catering, indoor and outdoor sites, event planner, capacity for 200 guests, floral packages to choose from, audio visual equipment, Wi-Fi availability, and discount for non-profit organizations. While Homestead Village utilizes The Bachman Center for its thriving enrichment activities, the philosophy that we are built on beliefs in sharing with the community around us. We welcome outside organizations and groups to have their next important event here with us. Your event’s perfection starts with the perfect place. 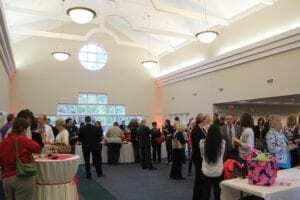 The Bachman Center is the ideal site for your next business seminar, luncheon, class reunion, lecture, music recital, organization’s meeting, special dinner event, wedding & reception. No event is too small. Contact Jennifer for more information or to schedule a tour.